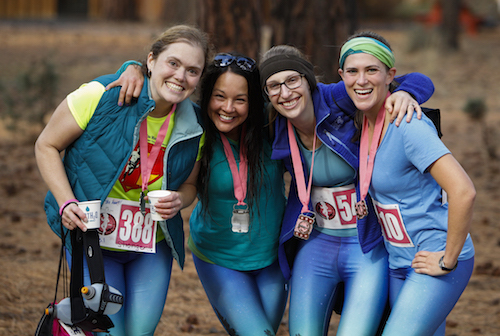 The Happy Girl courses are recognized by both first-time racers and seasoned runners alike as being inspiring and fun. 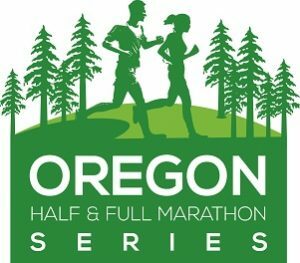 The scenic half marathon along Peterson Ridge is a quasi challenging trail but worth it with the views of beautiful Sisters, OR. The 5K, is a great run right through downtown Sisters. 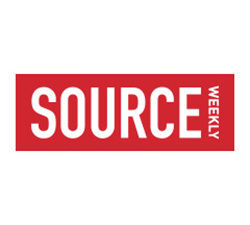 Both distances will enjoy amazing swag bags, social hour at the packet pick-up Happy Girls Women’s Expo and a lively after-run party. There are three on the half marathon course, not including the start and finish line. There is one aid station on the 5K course. Aid stations will be fully supplied with water, GU Brew and GU Gels. All aid stations are staffed by volunteers supporting Sisters Parks and Recreation Department. 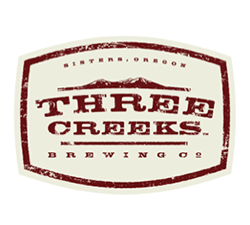 Be sure to say thank you for their support as you grab a drink! 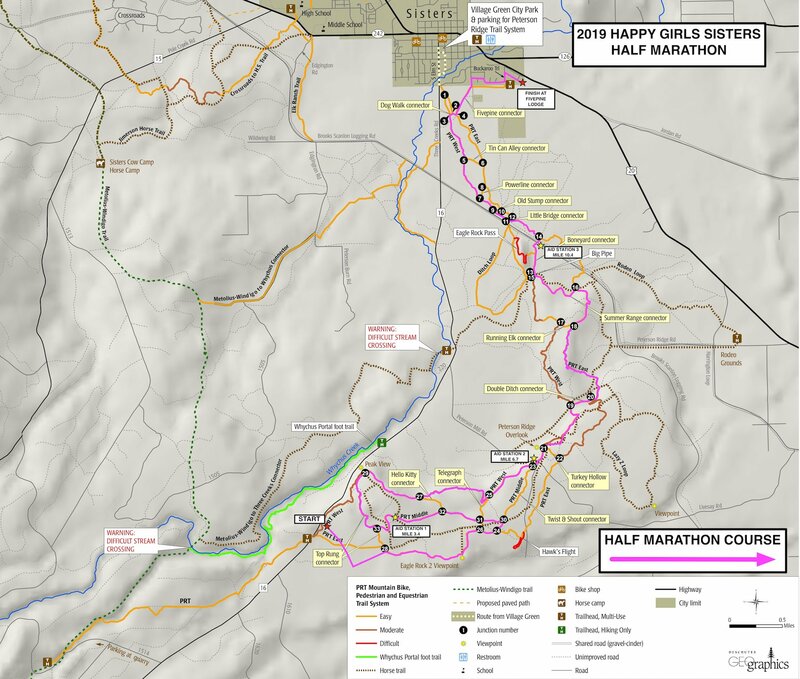 Happy Girls Run Sisters half marathon runners discover the single-track dirt trails and rolling hills of the Peterson Ridge Trail System. 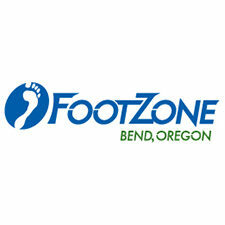 5K runners will road race through scenic downtown Sisters, OR. All will meet at the beautiful FivePine Lodge to celebrate their accomplishments.